So quite a few people know the old "take good names and sell them" trick. With the release of 6.0.2, any character that hasn't logged on since the launch of WotLK had their name made available, and this means there are some very rare, lucrative and profitable names floating around. I personally play on a few very high population realms and I've managed to snag well over 150 names across them - selling them for anywhere from 2k to 25k a name simply advertising in trade chat, making over 200k spread over 4 realms in the past few days (admittedly sitting in trade chat a lot). Make a new Battle.net account with whatever details you want, it doesn't really matter. I just use my real details, and then add a trial account. You'll want a seperate account to the account you're selling on so you can collect your gold and sell names without having to log in and out of your main. I've prepared a somewhat decent list of possible names which is by no means complete, so of course you're encouraged to try anything else you think of. In addition to these names, you can try common Name and Female names from real life, as well as random combinations of 2 letters. Simply create level 1 characters on the realm you wish to sell them on on your trial account. If you run out of room, add another trial account. I find it useful to keep a list of what names are on which account. Accept half the price up-front on my main account. Ask the buyer to hop on Vent if they don't have a second account, or to also log on their second account if they do. Ask them to create a level one and type in the name they're buying but don't create it. Once they've told you they're ready, you delete the character and tell them to take it. Collect your gold and GG. 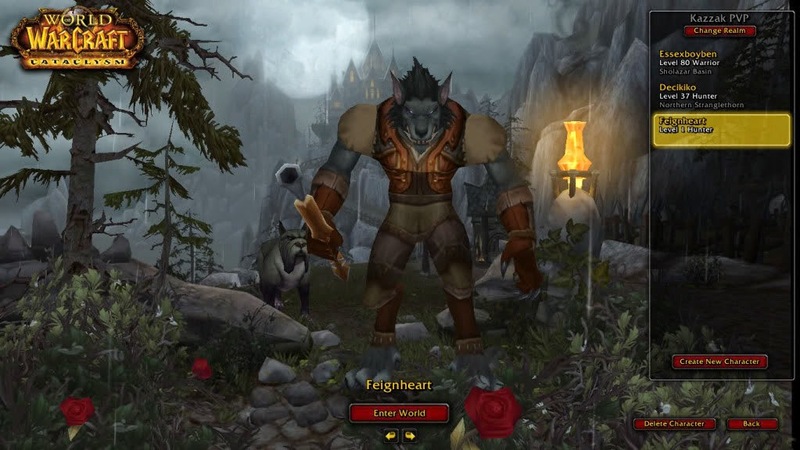 WoW is essentially ten years old now, and some of the servers have been out just as long. Getting a good or unusual name is becoming harder and harder as time goes on, and with a new expansion coming up and people sitting on gold - possibly thinking about rerolling a new alt for the next expansion, people are willing to fork out decent sums for a good name. I can't guarantee you'll make any gold, but if you find yourself AFKing in Trade a lot on your main or alt account, you're essentially getting free money for nearly no effort.